The MK II is NEW and IMPROVED and now offers the HIGHEST SPECIFICATION complete trampoline range available to the UK market. This model now offers the 'Stay Safe' enclosure which is an innovative design securing the safety of small fingers and toes. The Stay Safe Rigi Net enclosure has 72 double stiched slots, one for every 'V' ring and spring. 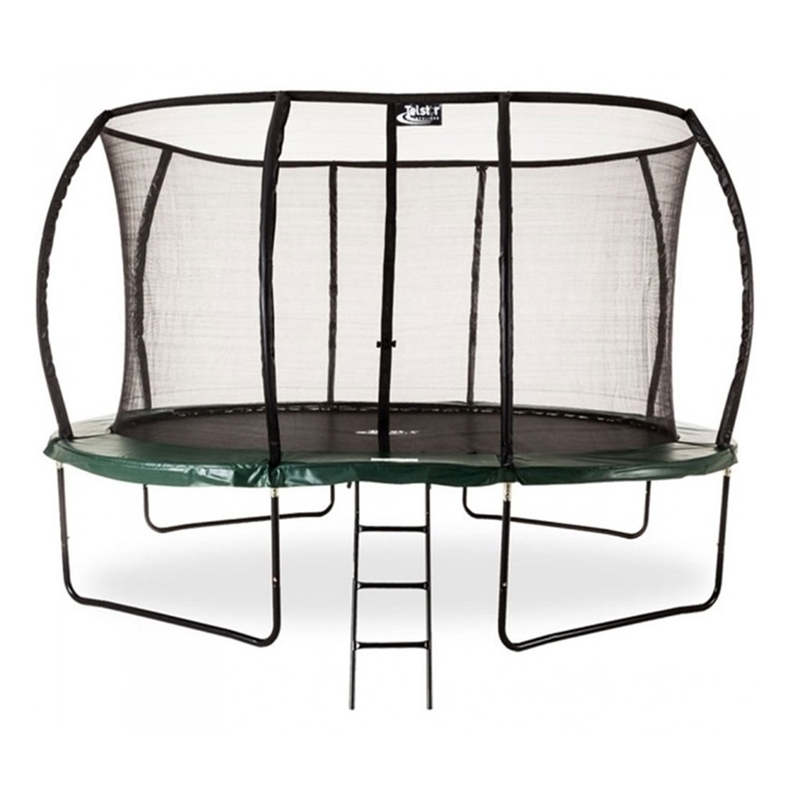 The design creates a safe, tight, easy to build net with completely no access to the trampoline framework and springs. The Jump Capsule DELUXE MkII specification and price won't be beaten. DELUXE 'Stay Safe' Enclosure - an innovative design which ensures complete security from the trampoline frame and springs. 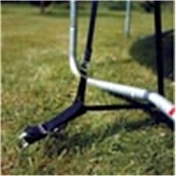 This model has a 10 year guarantee on the frame and 2 years on the padding, jumping mat and springs. The 'Stay Safe' netting has a 1 year warranty. Naturally, all our trampolines are fully certified and comply with all relevant EU and US safety standards. *All orders placed after 10.30am will be treated as processed the next working day. Deliveries to most parts of mainland UK are free of charge, however deliveries to certain remote areas may be subject to a surcharge such as certain parts of Scotland, Isles, Northern Ireland, Channel Islands, Isle of Man, Isle of Wight, BFPO, Orkney, Shetland and Scottish Isles or Highlands. Please note due to the size of the Trampoline the BFPO will not accept the Trampoline into the BFPO system. . If you feel you may be located in such an area please call to check prior to ordering or select the appropriate option under the options section above. **Delivery is FREE to most UK mainland destination. Extra charges may apply on some products to certain destinations. 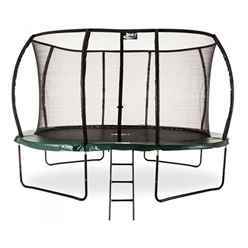 See matrix below for trampolines. If you feel you may be located in such an area please call to check prior to ordering or select the additional charge under the additional options. Note: Children using this equipment should be supervised by an adult at all times. PLEASE NOTE: Photographs are for illustrative purposes only. Product colours may vary slightly due to the photographic process. Illustrations used are merely illustrations and the product may be cosmetically different but will NOT deter the quality and/or performance of the product. User Weight: Maximum User Weight 24stone!! !